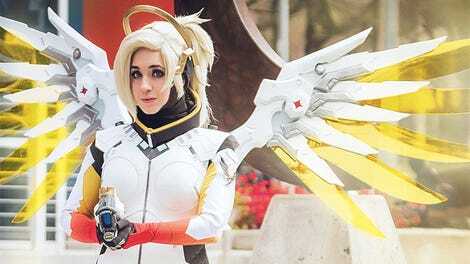 Amazingly, this is the second cosplay we’ve seen from the same gallery of fan art, which depicted a bunch of Overwatch characters hanging out in their street clothes. What, you think Widowmaker buys bread and milk in that skinsuit? There was a great Pharah outfit at Blizzcon last year, and now there’s this Widowmaker shoot from Chinese cosplayer NightyQueen. What Is It With Overwatch Cosplay And Butts?